Everett Yacht Club is made up of a variety of people from Snohomish, King counties and beyond who love boats and/or boating. Membership is open to all; either as a boat owner (Flag Member) and/or as a non-boater (Social Member). Mission: To foster recreational boating activities within Puget Sound and vicinity by providing a support organization, a clubhouse, and equipment. To serve the social needs of our members while managing the Club's assets in a fiscally responsible manner. Vision: Be the premiere venue for promoting on and off water boating activities within Puget Sound, encouraging and supporting community safe boating practices and participation in our recreational maritime environment. How to Join – Visit our club on Wednesday Nights at 404 14th Street Everett, Washington 98201. Our membership process is straight forward. Please email us at vice@everettyachtclub.com for an application and further details. Thank you! 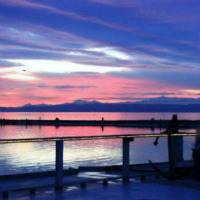 Location – Port of Everett Marina which provides moorage for over 2,300 boats. Goal: To be the operationally excellent Club within Puget Sound by supporting our membership, community and region as well as achieve profitable financial & membership growth. Guest Dock – Located immediately in front Anthony's HomePort at the southern most tip of the docks for limited day & overnight moorage. 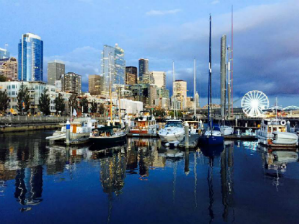 Reciprocity privileges – Active members can enjoy other yacht clubs around Puget Sound, BC, and most other places around the world. CLICK HERE for details. Cruises – Everett Yacht Club offers over 15 club cruises for power and sail boats annually. 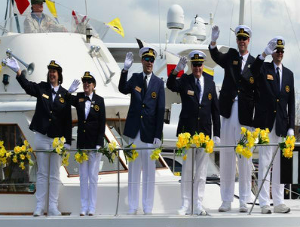 Boating Activities – Members can join in the annual Port of Everett Opening Day for Boating, Seattle Opening Day, Tacoma Daffodil Festival and Christmas Lighted Boat Parade. Discounts – Members can take advantage of discounts through local boating suppliers and several boat related services offerings within our community. Monthly Events – Open weekly on Wednesday for monthly meetings, programs, and socializing. Women's Interclub Council (WIC) – As part of the Puget Sound Grand 14 members can participate with WIC lunches and community activities. CLICK HERE for details. Social Events– Wednesday Nights, Commodore's Ball, Change of Watch and New Year's. Scuttlebutt – Monthly newsletter, keeps members informed of Club news, activities & special events. CLICK HERE to view the latest issue.